Yesterday I cast off Ian’s birthday scarf, washed it and laid it out to dry. Today is his birthday. Phew! All that frantic, knitting like a crazy lady paid off. I’m happy to report that he is every bit as pleased with it as I am (I confess I found myself coveting it on many occasions whilst knitting it). I also thoroughly enjoyed knitting it which is surprising because I usually find 1×1 rib a bit laborious. I think maybe the stripes and the tweediness did it. I’m really tempted to cast on for a Noro scarf for myself. I have the yarn in my stash but I shall restrain myself for a little while until I’ve finished my other two current projects. This morning I finished another WIP. 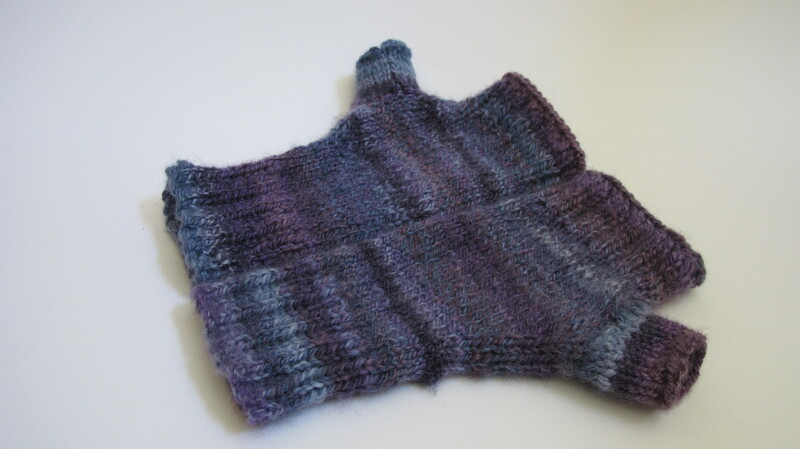 The handspun fingerless mitts. I lovelovelove these. The yarn is utterly delicious and I spun it, all by myself! It’s the 2ply and N-ply Bond yarn from the 3 tops dyed by The Thylacine. Looking back at the post about the finished yarn it appears that I neglected to mention the colour-ways of the three Bond tops so I shall remedy that right away. Two of them were Terra Australis and the third bluer one was Lyrebird. Bond is such a gorgeous fibre I can’t recommend it enough. Knitting from my handspun yarn makes me so happy. 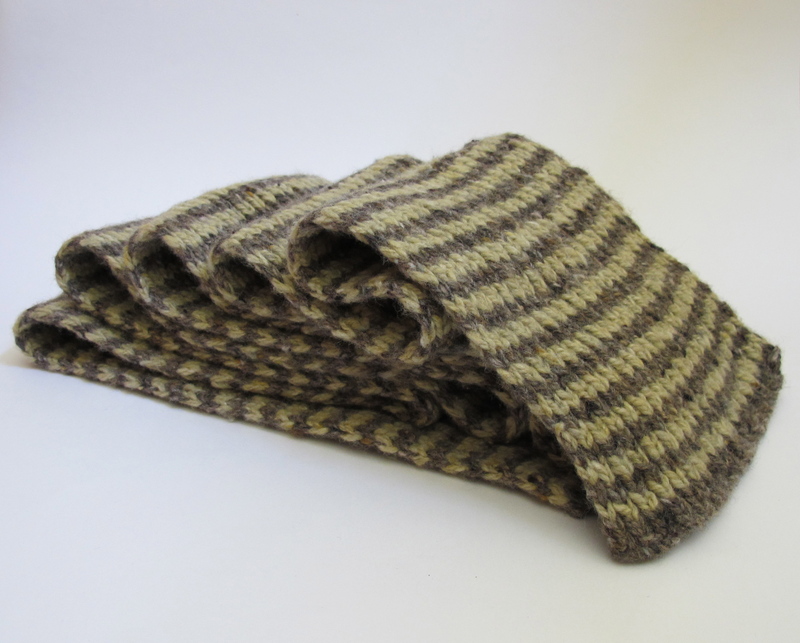 They didn’t photograph as well as the scarf but IRL they are really lovely. I added a few increases and decreases because I didn’t quite get gauge but mostly I followed the pattern. All I need now is some colder weather so I can wear them. The primary skein of Bond is probably going to be a cowl, I think this one. Currently on the needles are the socks and the belated birthday gift for Fiona. On the wheel is still the second Skein singles, my thumb is all better so I can spin to my hearts content again (apart from the going to work thing to make money to pay the bills and maintain my love affair with the fibre crafts). 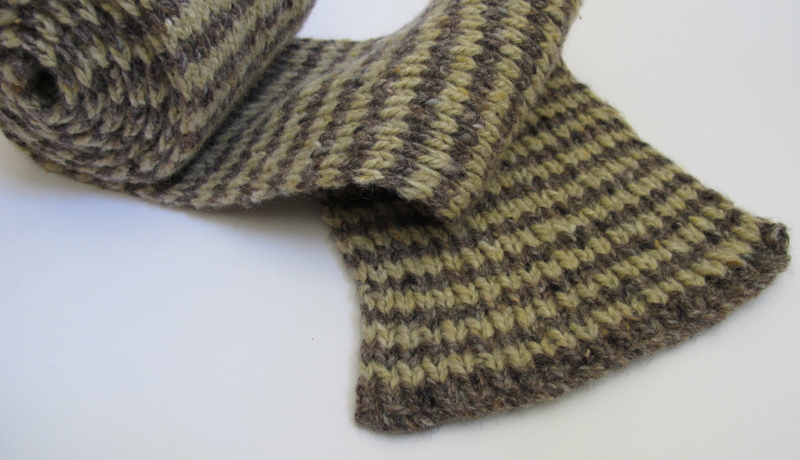 As for the previous post, I agree, a simple cowl is exactly what that yarn needs to be. Thanks Jen and Anna for the advice.